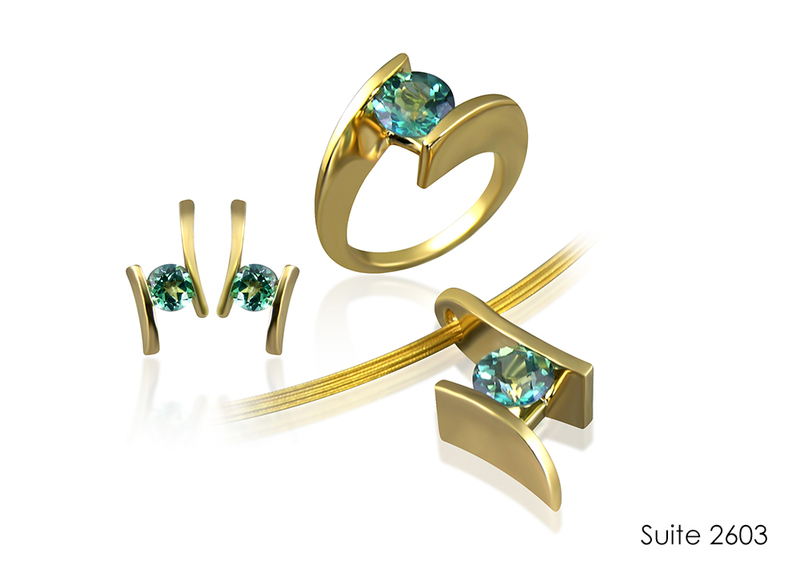 This 14kt Gold suite features a Caribbean Blue Topaz set, including a Pendant, Ring and Earrings. The 14kt Gold pendant (MP2603/GBT) includes an 8mm Round Stone. The 14kt Gold earrings (ME2603/GBT) include a 6mm Round Stone in each earring. The 14kt Gold ring (MR2603/GBT) includes an 8mm Round Stone. The set here is also available in other stones, and also in 14kt White Gold. Please contact us for more information on this piece.